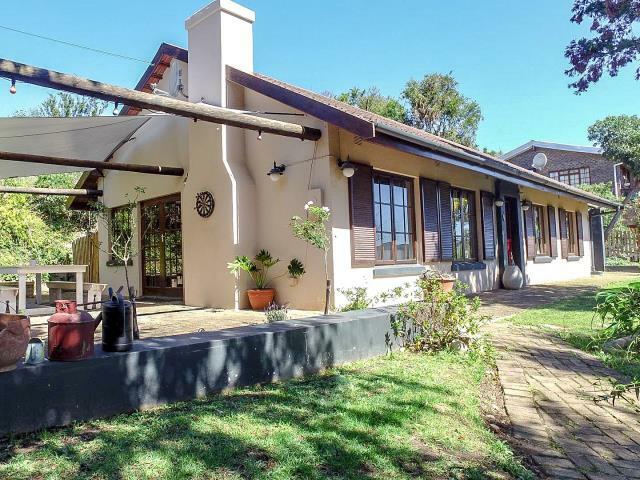 A 3 bedroom house for sale in Knysna Heights filled with character and charm." A neat, charming cottage in an immaculate garden setting. This 3 bedroom, 2 bathroom home will surprise you as soon as you enter the front door. The open plan living area with garden access is warm, bright and cheerful. The outside patio under shade sail is the perfect area for entertaining and the fenced garden a safe, play ground for the kids. The bedrooms are cozy, sunny and welcoming and the painted screeded floors throughout the house are low maintenance and add character. This is the ideal spot for a young family in an area that has risen out of the ashes and will be a pleasant surprise when viewed! A 3 bedroom house for sale in Knysna Heights filled with character and charm.